The Taiwanese government will intensify its investigation of two pro-Beijing newspapers after politicians recently accused the newspapers of both surveillance activities and spreading fake news on the island, a security official told reporters on Jan. 18. The official’s remarks come after the two tabloids, Wen Wei Po and Ta Kung Pao, published inflammatory reports about several Hong Kong pro-independence activists who traveled to Taiwan to meet with a “mysterious man,” who was a “secret envoy,” near the presidential palace, according to The Liberty Times (Chinese), a local newspaper. The “envoy” was, in fact, a Liberty Times reporter. In their reporting, the two newspapers detailed the activists’ meetings, movements, and even the books they browsed in a bookshop, along with photographs. The two tabloids are known for attacking both democracy and independence in Hong Kong and Taiwan. Even though Taiwan is a self-ruled island with its own constitution, currency, and democratically elected government, the Chinese regime regards it as a renegade province that must be united with the mainland, with military force if necessary. “I also urge the public and media to help provide any tips on suspicious or illegal (activities),” said You. Other Taiwanese figures expressed concern about the incident. “I’m worried that ‘red terror’ is happening in Taiwan … They are following Hong Kong people today. Will they follow Taiwanese tomorrow?” said Lo Chih Cheng, a lawmaker from the Democratic Progressive Party. Neither of the tabloids offered an immediate response to Reuters’ requests for comment. The Chinese regime has raised pressure on the island since Tsai became president in 2016. Chinese leader Xi Jinping most recently called for Taiwan to embrace the idea of unification in a Jan. 2 speech. In addition, the November 2018 elections were precipitated by constant political interference by the Chinese Communist Party (CCP). Local Taiwanese media have also reported that the CCP created cyber armies to spread propaganda on Taiwan’s popular social media. 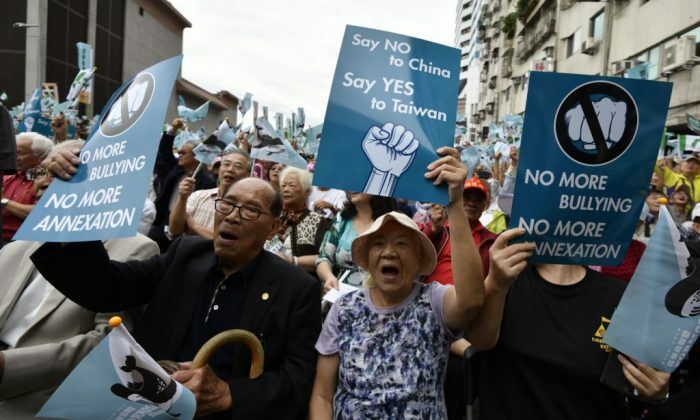 Through negative portrayals of Taiwan’s government, Beijing seeks to convince Taiwanese citizens that there is a “legitimate” reason to push for its unification agenda. This sort of interference is carried out by the CCP’s United Front Work Department to fulfill Beijing’s agenda overseas. Taiwan currently has laws that prevent Beijing from using money to influence Taiwanese politics, but the Chinese regime has been known to recruit Taiwanese businessmen working inside mainland China to receive payments, which they, in turn, hand to Taiwanese political candidates as campaign donations. Another method is to draw in low-level officials by inviting them to mainland China on all-expenses-paid visits. One such example is Zhang Xiuye, a mainland Chinese national who lived in Taiwan and ran for political office, who eventually was charged with taking bribes. Taiwan is a democracy with similar interests and values to Canada and the ties between the two countries should be much stronger, say experts.